Idyllwild Homes For Sale "Castles To Cabins"
Some of the earliest maps of the area only showed the Strawberry Valley name. Yet, Mrs. Laura Rutledge has generally been credited for naming the area now known as Idyllwild. In 1899, she and her husband managed a sanatorium for patients suffering from respiratory diseases. 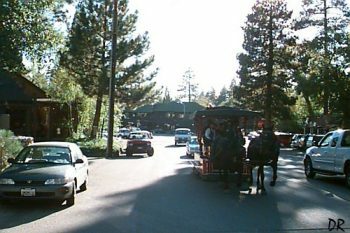 The sanatorium, a rather large structure, was located in the center of downtown Idyllwild. After the federal government decided to establish a post office in the sanatorium, Mrs. Rutledge suggested “Idyllwild.” The name has remained the same since this recommendation. The San Jacinto mountains have remained relatively unchanged since the creation of this wilderness. This accomplishment was achieved due to the efforts of early pioneers. 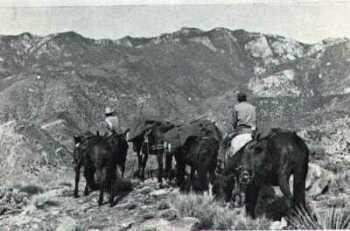 These pioneers had the foresight to protect the area and ensure the large, forested region remained intact. Additionally, thanks to the efforts of concerned individuals who launched a movement to establish a state park, a wilderness remains in the San Jacinto Mountains. Today, the California Department of Parks and Recreation administers more that 12,000 acres in an almost primitive condition. Adjacent to the state park are thousands of acres preserved by the U.S. Forest Service under provisions of the National Wilderness Act.